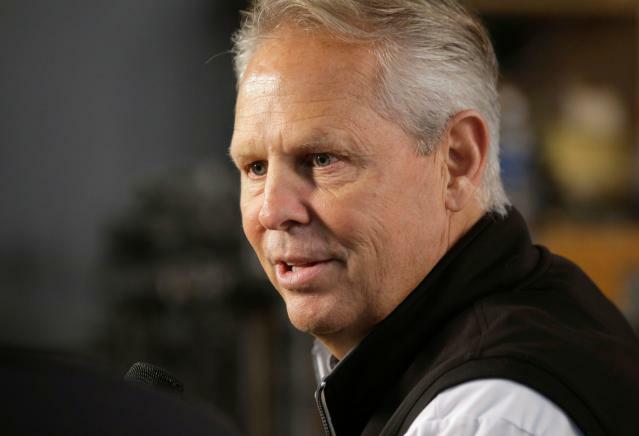 Ainge is a Boston Celtic to his core. And when you’re a Celtic, you hate the Los Angeles Lakers. So when Ainge, the Celtics’ general manager, addressed reporters ahead of the team’s first-round playoff matchup against the Indiana Pacers, he had to get a lighthearted jab in at an old rival. That joke, of course, is a nod to the out-of-nowhere resignation from Magic Johnson from his position as the Lakers’ president of basketball operations. Johnson’s Tuesday night announcement came in an impromptu news conference that stunned the league. Johnson said in a long-winded media gathering that he would rather be an NBA ambassador — “a big brother to everybody,” he said — than run the Lakers on a day-to-day basis. Johnson and Ainge had key roles (Johnson more so than Ainge) as the Lakers and Celtics battled for multiple NBA titles throughout the 1980s. That rivalry runs deep, even to this day.